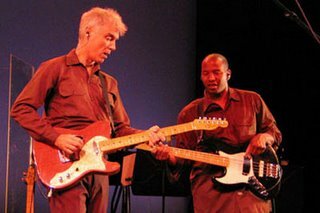 Well this makes me quite happy - I've chanced upon David Byrne's Blog... Talking Heads was magical for me in my teen years - David Byrne is a magician now. I never saw them live - wish I could leap into a time machine and give it a go. I feel like they saved my soul and mind when growing up.